One of the advantages of having older brothers is being introduced to pop culture from earlier generations that you would not otherwise be exposed to. This was true for music (Blonde, The Doors, Led Zeppelin, Boston), film (Apocalypse Now, Clockwork Orange, Monty Python’s Holy Grail) and, above all, iconic beautiful women. In the last category, my brothers did not discriminate: they had posters and calendars of blondes, brunettes, redheads, even a beautiful bald woman from some far off African tribe. I knew quite a few of them by name – Debbie Harry, Isabella Rosselini, Barbi Benton, Candice Bergen, Patricia Rhomberg, Nastassja Kinski…but one day I stumbled across one staring down at me from my brother’s slanted attic bedroom wall. “Who’s the blonde?” I asked. The answer sufficed for a couple months. But then every time I went into my older brother’s room, my eyes were drawn back up to the beautiful face staring down at me with those large, brown eyes. I was young enough that the concept of this young, luminous and vibrant woman was no longer living didn’t fully compute. I naively believed that only old people died. I asked my brother again. The wrong place at the wrong time. It still didn’t compute. Was she caught up in some natural disaster? Another couple months passed and one day I stumbled across my brother’s paperback copy of “Helter Skelter”. Dog-eared and stained from God knows what, I opened the book and began reading about the horrible Manson Family Murders that occurred on August 9, 1969. 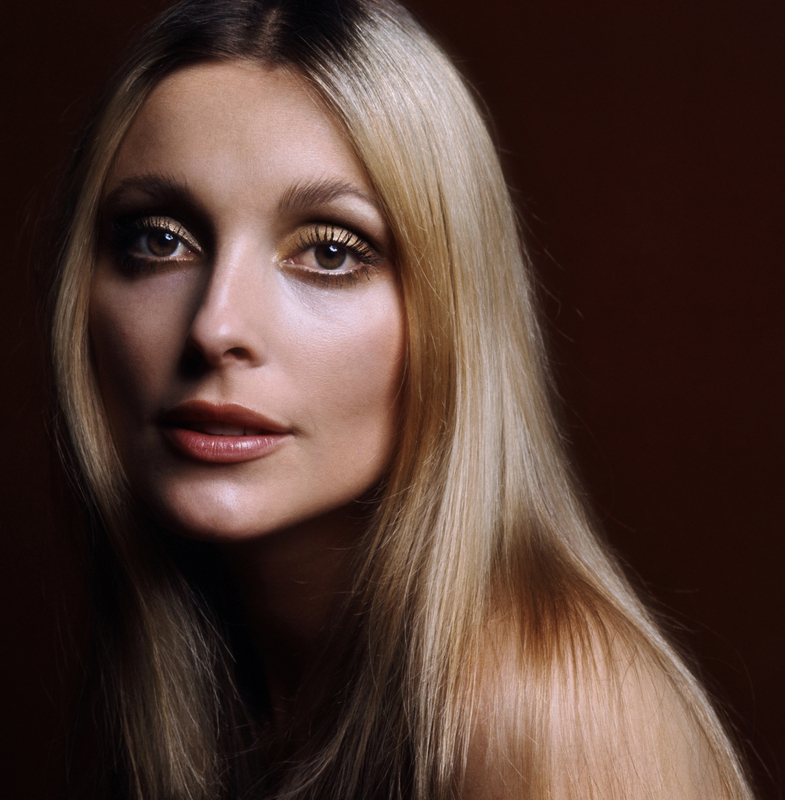 How Sharon, married to film director Roman Polanski and 8 and a half months pregnant – begged for her unborn baby’s life, to no avail. I stared up at the woman’s face and became enraged for her. For the senseless loss of not one but two innocent lives. Decades later, I still remember that first great rush of indignant rage I felt when I was young. The sense of loss of what could have been for a stunning young woman who seemed to be so full of life. Sharon had had a burgeoning film and TV career (she almost played the lead in Rosemary’s Baby) but more she had a baby with a man she was wild about and a future bright with possibilities. Until, one night she had the misfortune of being in the wrong place at the wrong time for a bunch of murderous imbeciles being led by a frustrated, wannabe musician loser. Manson is nothing more than a garden variety sociopath and it still infuriates me that he remains above ground making news today when he should really be six feet under. But then I realize even he serves a purpose; he exists to remind us that victim’s of violent crime must have at least as many rights as their killers do under our laws. And thanks to Sharon’s late mother Doris, sisters Patti and Debra the victim’s of violent crime who cannot speak for themselves have a say through their family members, especially in parole hearings for the likes of criminals like Manson. I know while they are alive – he will never be free. 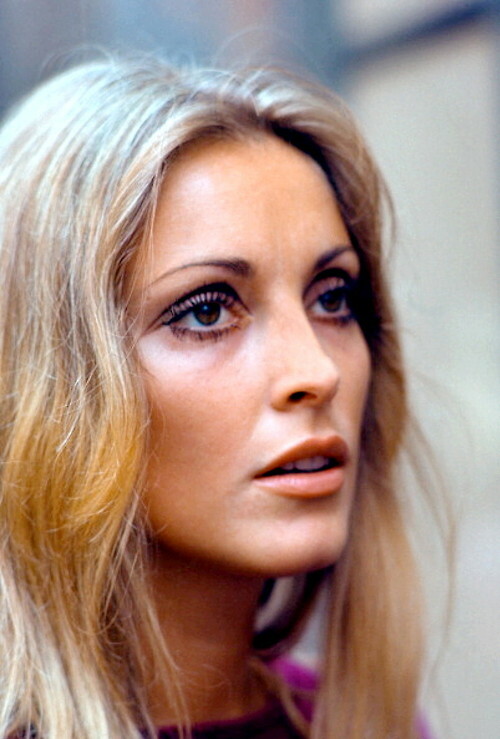 Sharon Tate was a beautiful young woman who by all accounts was a gentle, kind and generous soul. It still doesn’t make sense to the young child I was that such a life could be snuffed out for nothing at all. But it does give the adult I now am some solace that her existence and that of her unborn child’s still has relevance to this day. She wanted to be a star in her time and I believe she would have been if fate hadn’t intervened and given her life a different role. If we lived in a perfect world she would still be with us as would her son and Manson would be long gone and forgotten. But the world is what it is and for many of my older brother’s era, the 60’s officially ended on that summer day in August, 1969. And some day soon, Manson will be gone but Sharon’s legacy will go on. Not as a victim but as a woman who died a hero and whose death gave birth to thousands of victim’s having the ability to speak from beyond the grave for what is right and just. 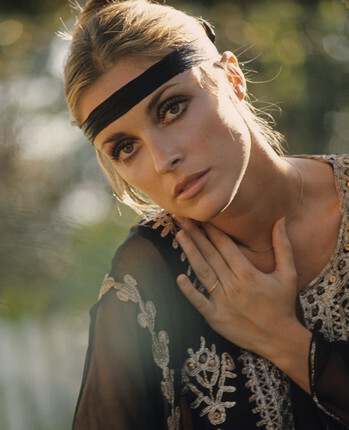 One of my favorite photos of the beautiful Sharon Tate. Such a beautiful girl. The Manson bunch were nothing but screwballs, killing to just see people die. Madness, total madness.